Kate Davidson leads this ladies’ cross-country ride to Ramsbury. Starting in the village of Great Bedwyn and following country lanes, bridleways and by-ways around the outskirts of the village across to the Ramsbury Estate, we’ll ride over the old wartime tracks and through woodland down into Ramsbury, where we’ll stop at Café Bella for tea and cake. 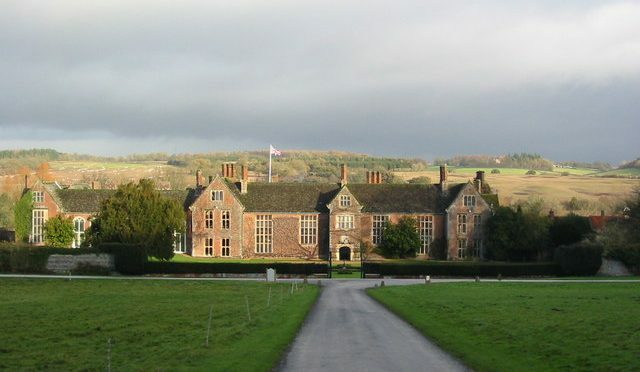 Afterwards we’ll take a bridleway that runs past Littlecote House, a Tudor mansion with a beautiful Roman mosaic in the grounds (in addition to the remains of a large Roman villa) that’s well worth stopping to look at. From Littlecote, we’ll head back towards Bedwyn using a mix of bridleways and byways, and a nice little rooty descent to the Kennet & Avon Canal and back along the towpath to Bedwyn. This should be an easy ride. The terrain is mostly bridleways, by-ways and country lanes, with two rooty descents. There will be a café stop halfway round. Dress for the weather and bring anything you might need such as spare tubes, etc. Start location: Church Street, Great Bedwyn SN8 3PQ. Park at, or near, the church – there’s plenty of on street parking here, and further down – and a post office and bakery oppoisite if you need any snacks or supplies or a post-ride cuppa. Arrive in time for a 10.00am start. Terrain/Difficulty: Mostly on cycle paths and bridleways. A couple of rooty sections. Shops/Pubs/Cafes: Cafe stop at halfway; bakery at the beginning/end.